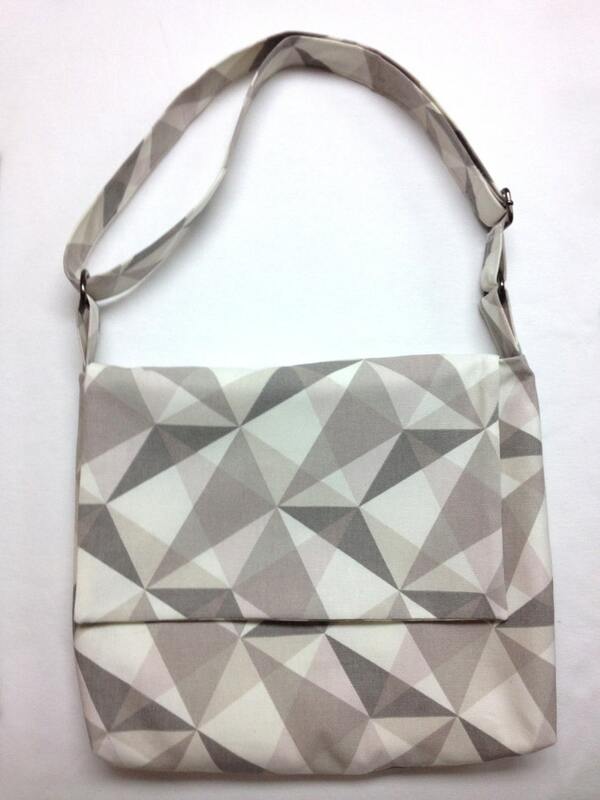 The 50 Shades of Triangles: A medium-sized geometric triangle print messenger bag with a coordinating white polyester lining. 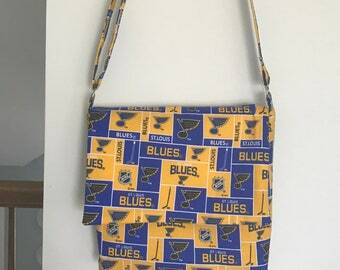 The purse measures 13" wide by 10" high and has an adjustable strap from 22" to 40" long. 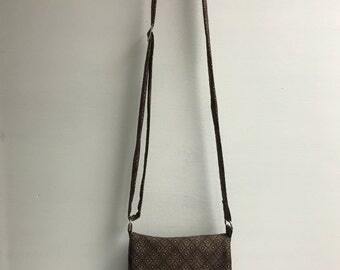 Straps are the same fabric as the main bag body. 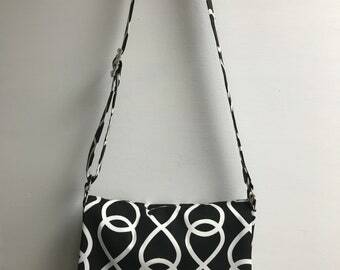 Six interior pockets within the lining. 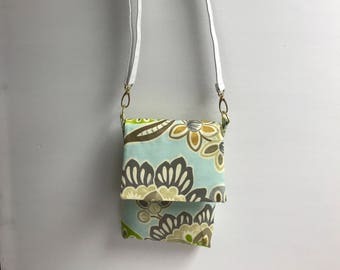 The Mint: A Messenger Purse with a mint, gold and white chevron print.